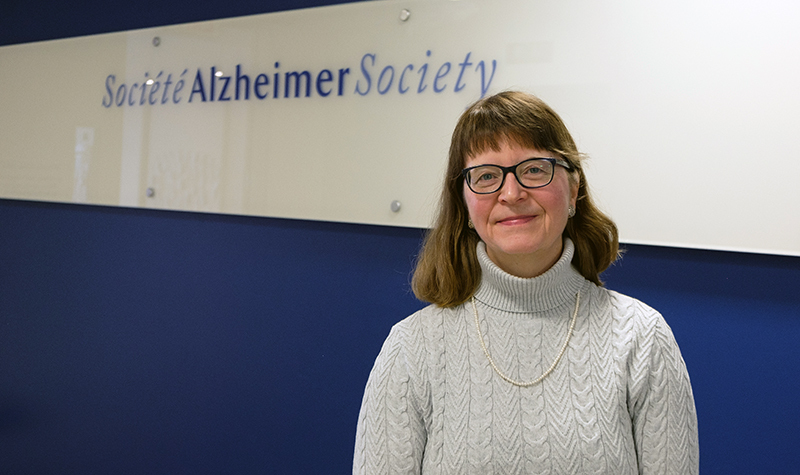 Mary Schulz, director of education for the Alzheimer Society of Canada. Alzheimer Society of Canada director of education Mary Schulz says long-term care homes are well-positioned to help end the stigma attached to Alzheimer’s disease and related dementia because they are “communities within communities” that can engage others to debunk myths about the condition. The goal of the Alzheimer Society’s 2019 awareness campaign – entitled “Yes. I live with dementia. Let me help you understand” – is to help Canadians recognize the preconceived notions about dementia they may have and to underscore the fact that many people living with Alzheimer’s disease and dementia continue to have active lives that include working and volunteering after their diagnosis. Talking to others, including residents and their family members, about Alzheimer’s disease and related dementia is where the journey to ending stigma starts, Schulz says. “There are residents (with Alzheimer’s disease and dementia), just like (there are) people living in long-term care who have had strokes or cancer, and there’s no shame in that,” she says. Schulz points to the fact that many long-term care homes and operators are already doing things to engage their communities in what it means to have dementia. To help create a dialogue with local communities, Schulz says there are questions people working in long-term care homes can ask themselves. “Does the neighbourhood in the community around the long-term care home know that there are lots of people in our home who have dementia; that it’s nothing to worry (about); that it’s nothing to be afraid of and we need (their) support,” she says. If you have feedback on this story, please call the newsroom at deron(at)axiomnews.com. For three years, a miniature schnauzer mix named Vezna has been volunteering at Forest Hill with her owner, Sharon MacDonald. Sharon and Vezna, who are with Ottawa Therapy Dogs, leave residents smiling after each visit.